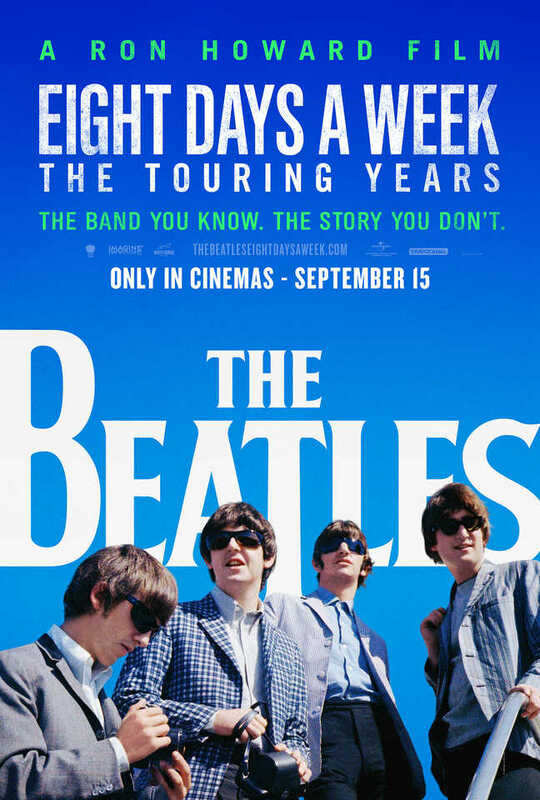 The Beatles: Eight Days A Week - The Touring Years will be released in UK cinemas only on 15 September 2016. The first trailer for Ron Howard's Beatles' documentary has been unveiled. The Beatles: Eight Days A Week - The Touring Years will follow the band's early days on the road, exploring the years between their start in Liverpool and their last concert at Candlestick Park in San Francisco in 1966. The film from the Academy Award-winning director will also include rare and unseen footage, and interviews with surviving band members Paul McCartney and Ringo Starr. The Beatles: Eight Days A Week - The Touring Years will be available to watch in UK cinemas only on 15 September 2016.